Further to my sewing planning, I also sorted through my yarn and ravelry queue and reminded myself of all the exciting knitting projects I have in the near future. First up is Cline by Julie Hoover, which I made a start on a few months ago. I have completed the back but the project stalled as it calls for a tubular cast on. This was the first time I had used this technique and looking up how to do it again just seemed like too much brain power. I was going to knit the front next but then I thought if I knitted the sleeves next it would be fewer stitches to cast on and allow me to get used to the technique a bit more. The yarn is merino, silk, possum blend and is a beautiful grey and white marle. I got it from Olive, formerly of Spinning a Yarn when she was having a de-stash last year. I am knitting straight from the cone which doesn’t make it particularly portable but I am happy to just work on this at home. This pattern is one I cast on just the other day. For someone who doesn’t like knitting rib I’m not sure what I was thinking casting on a allover 1x1 ribbed jumper. I do love the shape and design features of this pattern which is Denes by Jess Schreibstein. The wide raglan shaping is gorgeous. And the yarn I am using is beautiful! It’s a BFL/Masham blend in the Withering Orchid colourway from Ruataniwha Dye Studio. I will enjoy wearing this when its completed, but I won’t be surprised if it’s not til winter 2020 when it is finally done. Truss by Melissa Wehrle is also on my list. I am planning to knit it in this grey Rosewood Wool. Rosewood Romney wool is one of my most favourite yarns to knit with however it sadly isn’t available anymore. This yarn has already been knitted into a different cardigan and I wore it a lot but I didn’t like the neckline shape on me. It was round and sat quite wide on my shoulders. I think this one will sit closer to my neck at the shoulder area, and I do like the V neck shaping. This pattern, Morning Fog by Jonna Hietala, was designed to be knit with two strands of silk/mohair on 5.5mm needles which would be so light and airy. I am planning to knit it in this Gotland DK weight yarn from Blacker yarns. I haven’s swatched yet but I think it will work. 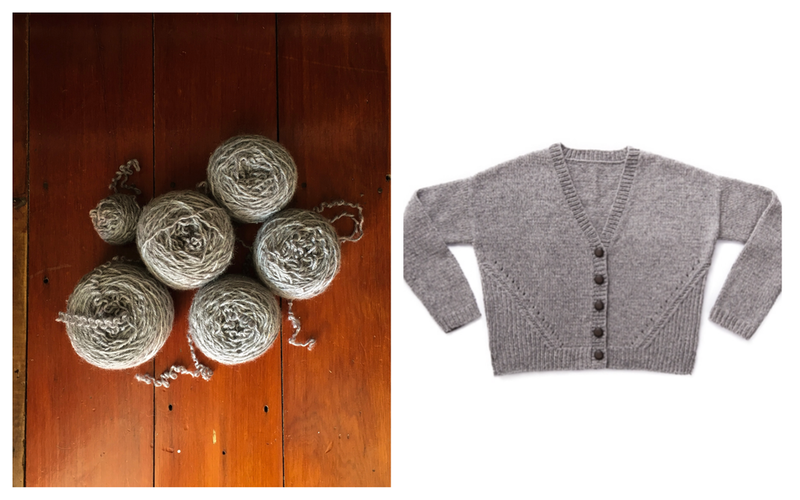 The Gotland yarn has a fuzzy halo that should bloom to a beautiful, light fabric. This colour is one that I don’t have much (if any) of in my wardrobe but it really appeals to me and I look forward to wearing it. 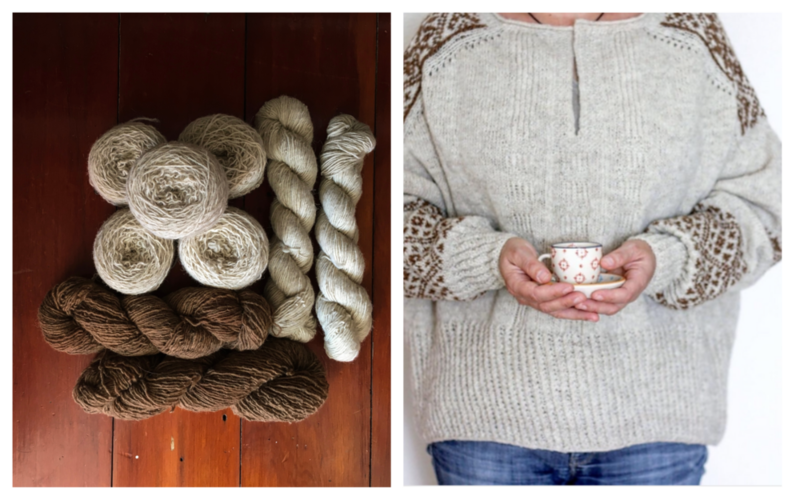 I recently finished a project in Moeke yarns and I adored every moment of knitting it. I can not wait to cast on Teru by Junko Okamoto using Moeke yarns again. I am also excited to knit one of Junko’s patterns again. She always has interesting construction techniques and shapes in her designs. Some of this yarn has been reclaimed from a cardigan that I loved knitting but didn’t love the shape of for me so I am hoping this will be a better use for it. The contrasting dark brown is Moeke that I dyed with walnuts and then modified with iron. It is such a beautiful, rich colour. And lastly, a cardigan for Tiraki. I have had some Rosewood wool put aside for this project since she was nine months old and I can not wait to knit this for her. I think she is going to love it in purple. The pattern is Merriment by Melynda Bernardi. It is such a sweet wee design. It is a steeked pattern which I have never done before and I am looking forward to trying out the technique. I have been considering blogging again for sometime now. I was blogging fairly regularly for about five years, but my last post was now over six years ago. I recently went back over my blog posts and I thoroughly enjoyed reliving those years of my life. That blog still exists on a different platform and under another name, and for now that is where they will stay. I hope you will enjoy joining me on my renewed blogging journey. I really enjoying planning. I always have. When I was 12 I planned my family’s accommodation for our road trip around the South Island. The internet was only just making an appearance so all my research was through the AA accommodation guide. I sent letters of enquiry to each place, and from memory we received a letter of confirmation in return. Having my own family now I do even more planning, meals, budgets and general life activities, but the one I enjoy most is my making planning. I always do two big six-monthly plans for the main seasonal shifts (Spring/Summer, Autumn/Winter). These involve a look through my wardrobe and stored clothes, a rotation of my making supplies (I keep out of season fabrics in a different location), a review of the patterns I own, I want to own and ones I want to make, cutting swatches and filing it all in to my Wardrobe Planning Journal. I do this for both myself and for my daughter, and on occasion my husband. The journal is nothing fancy but I pull it out regularly to flick through or tick things off. I do not commit myself to making everything in it or only making things planned in it. It is more a source of inspiration for me. Things often roll over to the next season, next year, or may even still be there two years on. Most recently I reassessed my making plans as a new year refresh, and partly inspired by everyone’s Make 9 plans on Instagram. Below are my sewing plans, in no particular order. I will make them as I feel inspired to do so, or when the need arises. I also reassessed my knitting plans but those thoughts will come at a later date. 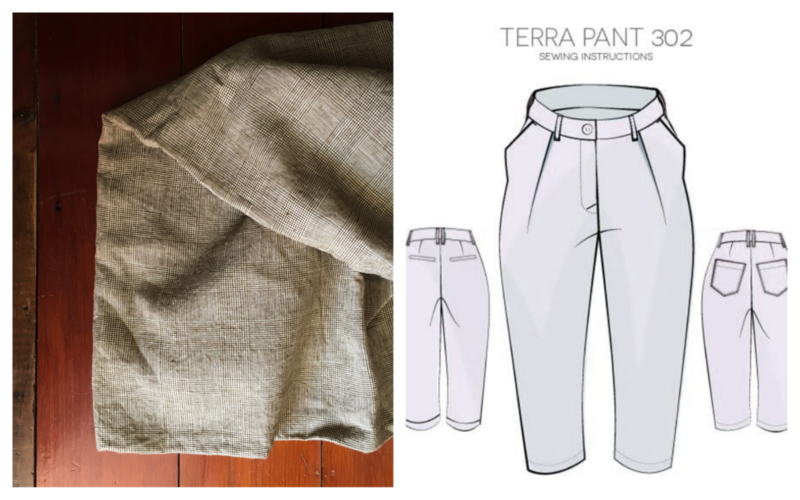 First up is the Terra Pant from Pattern Fantastique. I made a pair of these last winter in an army green wool/silk/cashmere blend and absolutely love the shape and fit. I been dreaming of a pair in the lovely brown Heritage Check Irish linen I bought from from Miss Maude. I think they will be perfect for late summer and the transition in to autumn. This fabric is a dark navy raincoating remnant I got from Drapers Fabrics. It is 50% cotton and 50% nylon. I bought it in store and can’t find it on their website. They may not even stock it any more considering it was a remnant. I would like to make the Closet Case Patterns Kelly Anorak with this. I don’t have any of the other notions and lining I need and think at this stage it will be a long while before I get around to actually making it. I have a raincoat that I have owned since I was 14 that still does the job perfectly well so it’s far from urgent, however I do like the idea of having a new, me-made raincoat to wear. I would really like to make this dress. It is the Isca shirt dress by Marilla Walker. I made her Roberts jumpsuit last year and love it. My hesitancy at the moment is that I would like to use this beautiful ‘dark white’ linen from Miss Maude and it’s just not so practical with a two year old around. I do think it has beautiful lines, and would be so comfortable. The fabric appears to be all sold out but she has other lovely linens available. These three linens are all from The Fabric Store and will be sewn up rather shortly. I am in the process of drafting a pattern for a pair of shorts/trousers. 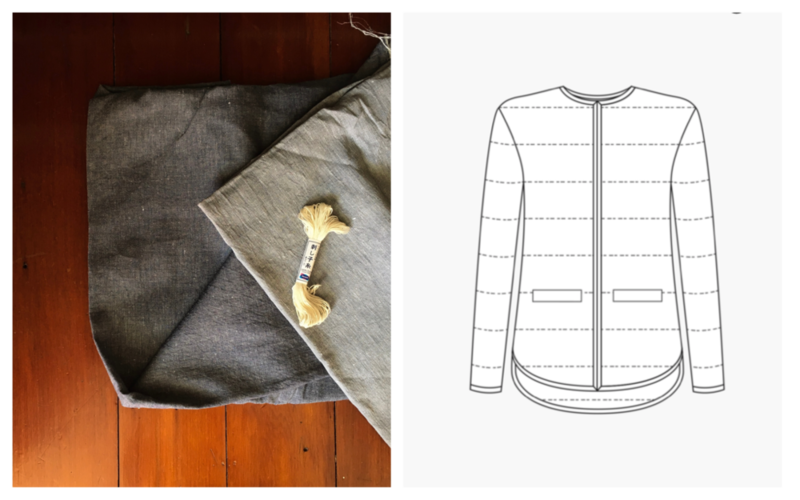 This summer I have realised I don’t have anything comfortable to wear around home, that I could maybe wear to the beach, the supermarket or even be pyjamas so I have decided to make myself some. I am also planning on making a trouser length version to take the place of a couple of pairs of old track pants I wear in the winter. 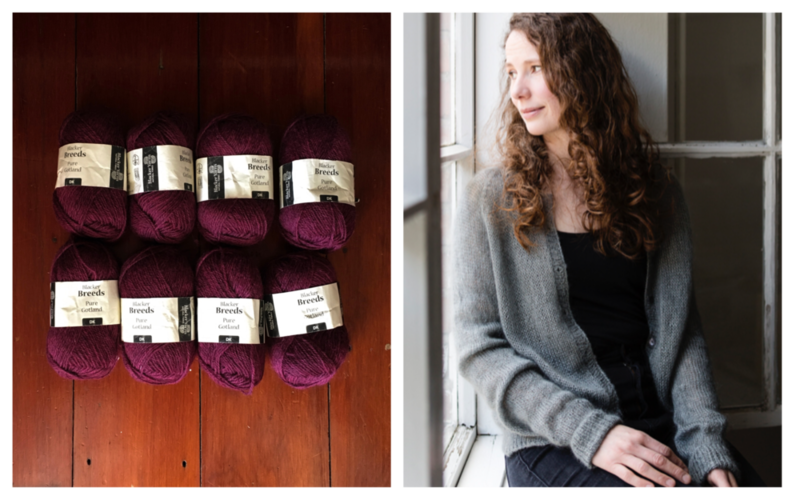 The Tamarack by Grainline Studio has been on to make list for a long time. It took me a while to decide on a fabric to use but I finally settled on this Bluebird Irish linen, again from Miss Maude. I believe this is also all sold out. I am going to use the dark side as my outer, and the light side for the lining. I have cotton quilting batting ready to go, and will hand quilt it with Japanese sashiko thread. We are having a hot summer here in New Zealand so I think this will wait until it cools down a bit. I classify this backpack under the same category as the Kelly Anorak. It would be lovely to have, but definitely not necessary, or high up on my make list. 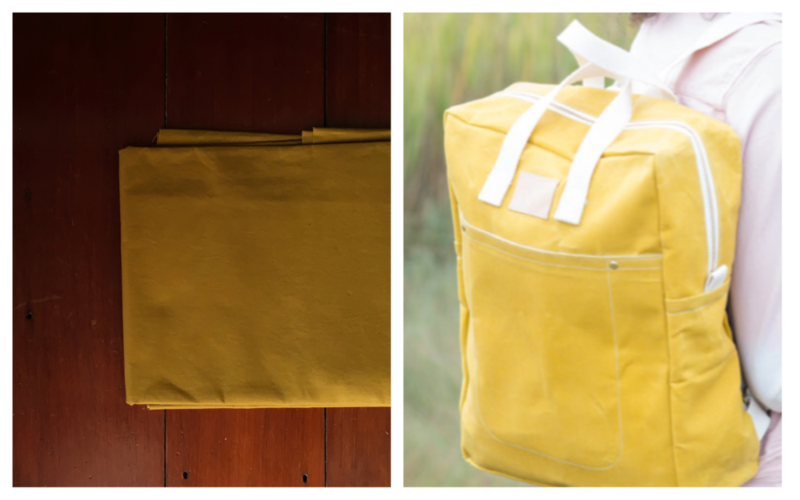 I am more curious about the process of making a bag. The only supplies I have is this gorgeous mustard dry skin from Miss Maude. Later in the year I will look at getting the rest. These two denims are destined to be wide legged jeans. I am currently finishing up a pair that I drafted for my sister in law and would like to make a similar pair (or two) for myself. Even though it is warm, and these are seasonally inappropriate, I think I will start on them soon whilst I have the construction process fresh in my head. The dark blue is 12oz indigo denim from The Fabric Store and is similar in weight to the pair I am currently making. The light blue denim is a remnant I bought in Paris in 2014. It has a bit of stretch so I think I may need to tweak the pattern a little to accommodate this. I am looking forward to finally sewing up this fabric after so many years. And that is the conclusion of my current sewing plans/dreams. I do have a few smaller projects in mind. A top or two and some things for my daughter and husband, but these are the big projects and I am so excited about them all.